The DC Extended Universe seems to be in pretty good shape after getting off to a rocky start in 2016. Both Batman V Superman and Suicide Squad were financially successful, but were also very divisive among fans and critics who aired on the side of negativity in both cases. Wonder Woman really turned things around this year and, despite some major reshoots, Justice League is looking good. But it sounds like Gotham City Sirens, one of the currently in development DCEU projects, hasn't officially been given the green light and David Ayer may not wind up directing it even if it does ultimately happen. Mashable recently ran a piece that casts some doubt over Zack Snyder's future in the DCEU. Warner Bros. released a statement contradicting that report, but Snyder may still be taking on a reduced role moving forward. 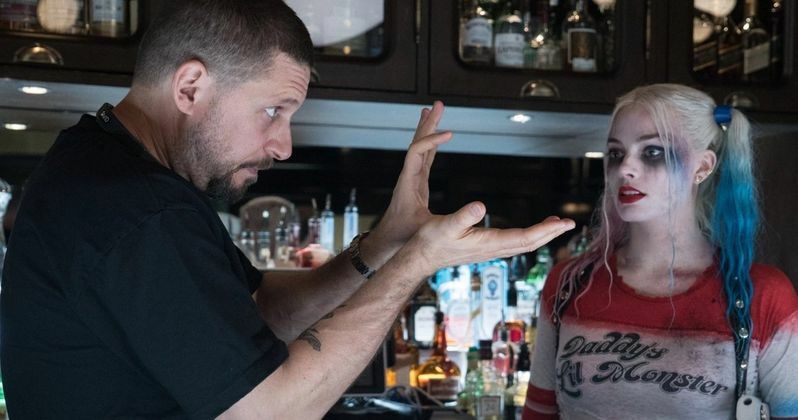 Similarly, Mashable claims David Ayer, who has been attached to direct the Harley Quinn spin-off, Gotham City Sirens, since it was announced, isn't going to return to the project. His representatives have denied that report, but there is reason to believe there is some truth to this. For one, some of the comments the director made while promoting his movie Bright at San Diego Comic-Con. "I don't think people realize the situation filmmakers face. [Bright] isn't like, some bulls*** standard issue studio PG-13 movie. I was able to do some real s*** here." Fun fact: David Ayer has only directed one PG-13 movie in his career. That movie is Suicide Squad. This seems to be a little bit of a shot at Warner Bros. and, despite the fact that Ayer says he is still going to do Gotham City Sirens, this implies there is some bad blood there. The director played ball during the press tour for Suicide Squad and seemed to be on good terms with the studio, but the production was famously troubled and it was tumultuous behind-the-scenes. David Ayer's praise of Netflix also was seen as something of a jab toward Warner Bros.
"It is a credit to Netflix and how they do business. They ask where and how to shoot it and they let me do it. It almost felt like a super, high-budget independent film. That may not land with you guys, but you have to understand that other side. It is the opposite for many filmmakers. Netflix is going to pull a lot of talented people to their side." The other interesting bit here is that Gotham City Sirens hasn't officially been given the green light. The movie features Harley Quinn teaming up with Catwoman and Poison Ivy as they are hunted down by Batgirl, a character confirmed to be getting her own spin-off directed by Joss Whedon. During Warner Bros. Hall H presentation at San Diego Comic-Con, they teased their upcoming slate which included Shazam, Suicide Squad 2, The Batman, Justice League Dark, Wonder Woman 2, Green Lantern Corps., Batgirl and Flashpoint. No mention of Sirens, which was rumored to be on the fast track at one point. We'll have to see if Warner Bros. eventually decides to actually move forward with the proposed spin-off, with or without David Ayer, but their slate seems pretty full right now.